Can I write fiction? I don’t know. I do know that I have plenty of stories to share, not just mine, but also those of others. I can’t count the number of times that I’ve exclaimed, “What a story!” after listening to someone share an event or experience. I’ve done a lot of writing throughout the years, but here’s the problem: My writing is different. Not only is it almost totally non-fiction, but it’s also primarily instructional. As a teacher, I’ve spent most of my adult life sharing information and dispensing little nuggets of advice or encouragement, and my writing reflects that. “Sort of,” I said, remembering a book about snake handlers that I finished last week. It was a love/hate relationship at first, but the author pulled me in little by little until I was totally hooked. I’m willing to learn the basics about plot, conflict, description, dialogue, and any and everything else that I need to know. I’m also willing to work at it and then work some more. Just about very writer whose advice I’ve read has mentioned that their questioners want to know how to get published, but they don’t’ like to hear about the hard work. They want shortcuts, and they want them now by golly! I want to learn from the experts, and I’m starting with Stephen King. I know there are those who say that he has the “formula,” that his writing is lowbrow. My answer to that is that I’ll gladly borrow his formula! For starters, King says that writers must first master the fundamentals of writing, including vocabulary and grammar. He also says, “While it’s impossible to make a competent writer out of a bad writer, and while it is equally impossible to make a great writer out of a good one, it is possible, with lots of hard work, dedication, and timely help, to make a good writer out of a merely competent one.” Yay! There’s hope for me. I’m competent and willing to work at getting good. I’m already following’s some of King’s advice: reading. Right now I’m reading Until I Find You by John Irving, and I’ve learned more about tattoos and prostitutes and music than I knew two days ago. And love too. Yes, I’ve learned more about love and the things it pushes people to do. I just started reading 7000 Ways to Listen and am following the author’s advice to journal my reactions to the book, thus following more of King’s advice—writing a lot. I’m with Pat Conroy who said that four of the most beautiful words in the English language are, “Tell me a story.” If I want to be a story-teller, I need to read what Stephen King has to say about description and dialogue. What about you? Are you a fiction writer? 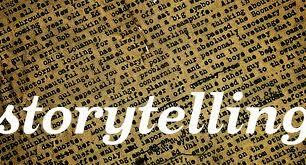 Are you a good story-teller? Do you have any advice for a novice like me? This entry was posted in books, writing, writing fiction, writing life and tagged Pat Conroy, Stephen King, writing, writing challenges, writing fiction, writing process. Bookmark the permalink.